TME Interiors design homes which are truly loved by their owners. Making your home look and feel right isn’t about following trends - It’s about creating a vision and curating a space, listening to clients ideas and working with them to achieve an outcome that is right for their lifestyle. We use a soulful approach to home styling, acknowledging that people often already have ideas and dreams for their homes, and sometimes just need help making them real. We offer visual designs and room layouts, providing all the details for you to implement them. Whether you’re not sure where to start, need to sort out a specific room, or perhaps want to make your home more attractive to buyers, our interior design services will work. Each project starts with an extensive brief and gaining a full understanding of your lifestyle. We can then produce full design plans, a bespoke buying guide, colour schemes, furnishing and soft furnishing recommendations, as well as 3D room visualisations. Contact me to see what we could do for you. You’ll find original home styling that works for you, your home and the way you want to live in it. In my view, Interior Design should balance the following: - best use of space - the era of the building - comfort and functionality - style - budget considerations - the way in which occupants react to their space in emotional terms No one wants to live in a sterile show home. The home is a place for people. If you keep you, your family and your guests in mind, while combining the practical and style elements, you'll be well on your way to designing spaces which you'll love. If you need a fresh pair of eyes, a little - or a lot - of help, get in touch. Interior Designers, retail shop and kitchen showroom and retailer. Jane Clayton & Company is a multi-channel interior design company, specialising in show homes, hotels and residential projects. Founded in 1979 by Jane Clayton, the business also offers design led interiors products through its website and outlet divisions. 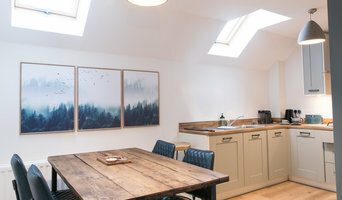 Catriona Archer offers professional and affordable interior design and styling in Bath, Bristol, Somerset and Wiltshire. For holiday rentals, property sale, small businesses and the home. Catriona believes that interior design should be accessible to all and doesn't need to cost the earth. Few interiors start from scratch and tend to evolve; chronicling our lives, celebrating our individuality and reacting to our changing needs. With this in mind our service starts by first making the most of your existing items, storage and space before suggesting additional purchasing options: Saving both money and unnecessary landfill. With over 25 years styling experience, an extensive range of services are offered that are tailored to your individual needs: From a one day styling consultation to get you on the right track in making the improvements yourself, through to a more detailed interior design service that includes layout sketches, moodboards, purchasing and colour suggestions. Simply contact Catriona to discuss what service works best for you. 1. Colour Consultation A home visit service to propose colours for walls, woodwork, furniture & accessories which will take advantage of your home's unique look and feel. 2. Style Advice This service includes a home visit and a follow up document to outline potential furniture pieces, colours and accessories. The document will include specific colours to use on walls & woodwork, and suggest sources for furniture, fabrics and accessories with some specific ideas for shapes and styles. I usually just make one home visit for Style Advice, and then follow up with the document. 3. Design Service This service includes at least two home visits, measuring, sourcing furniture, colours and accessories and arranging for any updates for the furnishings (e.g. re-covering vintage finds or framing pictures). I will design the space around your personal style, ensuring a cohesive and practical result that you are delighted with. I will then source the new/vintage items to be used in the room and arrange for any fitted elements to be put into place. I will also arrange for any changes to be made to existing elements, and will manage the project as it moves through to completion. Sensitive use of colour and texture is a trademark and Joyce’s interiors are brought to life with sympathetic lighting which is a fundamental aspect of the total design. Attention to detail is a priority and her interiors are characterised by a high level of finish. Finally, the ultimate focus for Joyce Porter Interiors is the creation of comfortable living environments and welcoming spaces for entertaining. Her team comprises highly experienced contractors whose attention to detail is always the highest priority. I offer home styling to ready your house for the property market or Home Styling advice. I love to work on period properties and restore them to their former glory as well as modern properties. Please get in touch if you wish to discuss my services can help you. Stylemongers Of Bristol is a boutique interior design studio and consultancy founded by interior designer and former theatre designer Zoe Hewett. Working with both homeowners and small businesses Zoe offers a consultation package with a follow up report and complete design schemes. Newlyweds Nest is the original Stylemongers Of Bristol interior design package that works using the post, ideal for an unusual wedding present. Zoe also runs regular Interior Design Masterclasses at Harvey Nichols in Bristol. DecoZen offers online interior design services on a per room basis. Professional advice, personal service and tailored solutions to suit your budget, saving you money from costly mistakes that everyone makes when decorating a space. Pricing: Mini Design £89: best for adding finishing touches or seasonal updates, Full Design £159: best for single room makeovers, Extra Design £269: best for open plan makeovers. 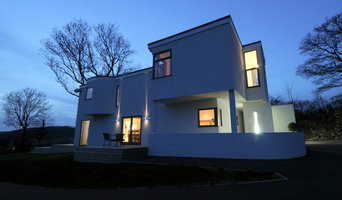 Traditional face to face and whole house projects are also undertaken within a 30 mile radius of Cardiff. DecoZen was created with the vision to make professional interior design accessible to as many people as possible. We believe that beautiful surroundings improve our state of mind and outlook on life and should not be a privilege. This why our mission is to beautify the world one room at a time! These two closely related professions are often mistaken for the same thing, however there are some significant differences to be aware of before deciding which to hire. An interior designer, sometimes known as an interiors architect, can run full renovation and structural design projects, and will use specialised knowledge of interior architecture, construction systems and components, building regulations, materials and furnishings to arrive at your dream home design. Interior design companies are able to plan spaces and room functions down to the last detail, and can help design and renovate interiors, from initial planning phases to placing the last decorative accessory. A decorator on the other hand will typically be involved only in the aesthetic layer, the “look and feel” of a space, and won’t be able to assist in renovations that require structural work. Interior decorators normally come on board after all structural work is complete. So choose your Bristol interior designer according to the type of work you need. Why should I hire an interior designer in Bristol? They say life is what happens while you’re busy making plans. Some of us are just too preoccupied with a career and/or family to think about colour schemes, wallpaper, flooring and lighting. A professional interior designer in Bristol can save you bags of time, stress and months, if not years, of living in a half-finished home. It’s their job to stay on top of the latest trends and to have contacts and visual references coming out of their ears. Interior designers and decorators can also save you money, sourcing products via trade contacts or offering affordable alternatives to blowout iconic designs. How do I choose the right Bristol interior designer for my home? Good design and visual inspiration are all around us. Start by searching for interior architects and interior designers in Bristol on Houzz. Keep a lookout for images of rooms and features that you really like and save them to your Ideabooks to begin to develop an understanding of your own style and taste. If you notice that photos from the same interior design companies are popping up regularly then that is a good hint that they could be your perfect design match. 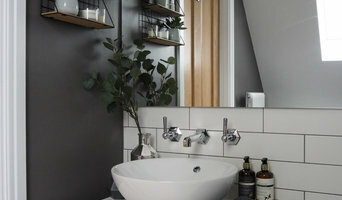 You can feel most confident if you hire an interior designer or interior design company in Bristol that has completed work similar to the look and feel that you desire, whether that is a mix-and-match lounge oozing mid-century modern style, a pale and interesting minimalist bedroom with shots of colour, or a beautiful space inspired by Scandinavian design. How much does an interior designer in Bristol cost? What are some of the important questions to ask Bristol interior designers or interior decorators? Start searching for an interior design Bristol professional in your area who can bring life to your interiors and reinvent your home for you. 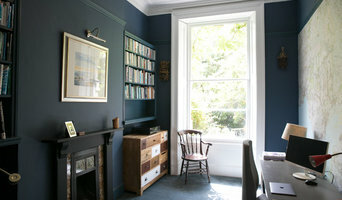 Look through reviews, projects and ratings to decide on the best interior designer in Bristol for your taste and style.